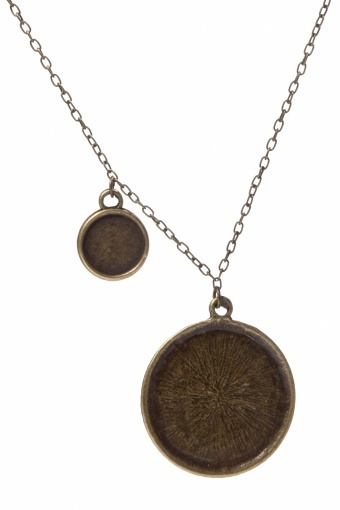 Exclusively available in The Netherlands at TopVintage! 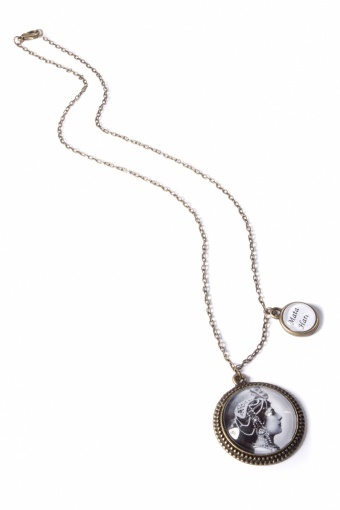 Handmade vintage inspired Mata Hari double pendant necklace from Coucou Heart. 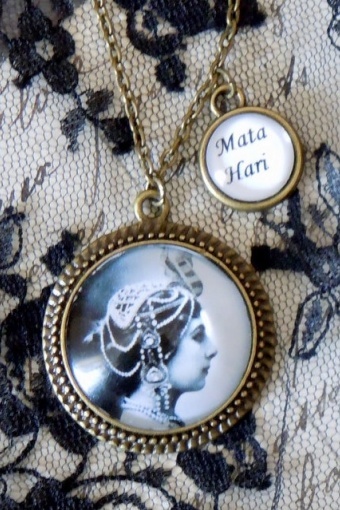 Beautiful pendant with exotic danser / spy / femme fatale Mata Hari. 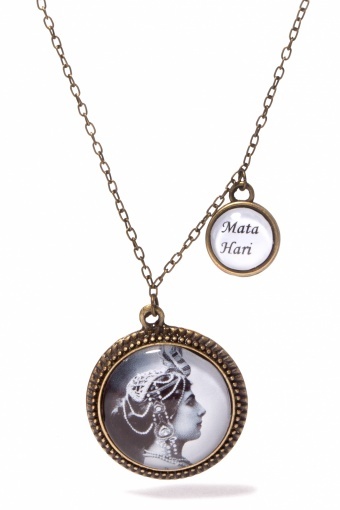 A beautiful rare picture of Mata Hari has been set behind a domed glass cabochon accompanied by a small drop pendant, in an antique tone pendant setting. Also available as a Brooch.